In order to generate a consensus across child health professionals in the NHS and local government, the Royal College of Paediatrics and Child Health (RCPCH) and the NHS Confederation, with support from the Office for Public Management (OPM), held an event in September 2011 to discuss the key priorities for child health and the reforms. 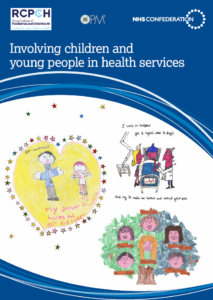 This report highlights the key findings and recommendations from the event about involving children and young people in decisions about health and well-being services and developing a culture of participation. This report was published by the RCPCH and NHS Confederation, in association with the Office for Public Management.